Our agency was established in 1985 by Visnja and Ian Pearson and over the years has earned great respect and recognition, both in the travel industry and amongst our repeat customers. 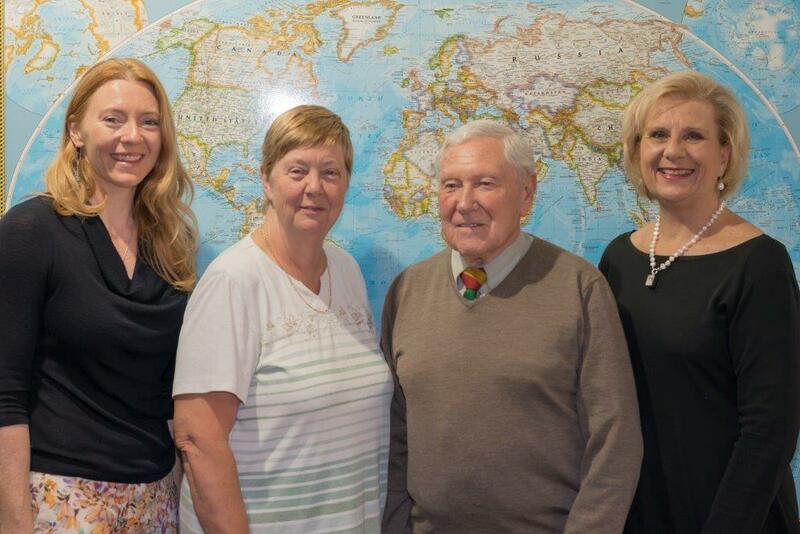 Visnja and Ian and our dedicated travel planners, Vicky and Elise, have a wealth of knowledge and personal travel experiences; having travelled to most parts of the globe. Elise joined our team in 2012 and brought with her a wealth of cruising experiences and knowledge. We have the best interest of our customers at heart at all times. Eltham Travel and Cruise has joined Helloworld as an associate member. This means that we still retain our independence of providing the best options for our customers, as well as giving us the buying power of Helloworld. We are a one stop shop for all your travel needs with the focus on personalized service for each individual. Eltham Travel and Cruise don’t just book travel, WE CREATE INDIVIDUAL TRAVEL DREAMS AND EXPERIENCES. Visnja established Eltham Travel and Cruise in 1985 and has since seen the agency grow be the reputable business that it is today. Visnja has lived in Croatia (formerly Yugoslavia for first 16 years and then Austria for 1 year, and has subsequently travelled a great deal over the years. This has resulted in first-hand knowledge of numerous countries and continents, which she willingly shares with her clients. Visnja’s passion is Fiji, but being a mammoth shopper, Asia and USA are high on the priority list. Visnja loves compiling varied itineraries for her clients so that they too can experience their chosen destination to the fullest. Ian has been part owner of the agency since its beginning and has also travelled extensively over the years. Whilst Ian no longer consults, being a very keen tourist, he can always be relied on his amazing memory of tours and hotels in places he has visited in the past. Vicky is an experienced travel consultant, with over 25 years’ experience; 10 years of those with Eltham Travel & Cruise. She has travelled to many places around the world, with Cambodia being her favourite destination. Vicky also prides herself on her ability to assist with all types of complicated around the world airfares, detailed itineraries or simply point to point airfares combined with accommodation and touring.